A severe rash. This is one of the most crucial indications that a patient has Lyme disease. The rash has a very distinctive shape, rather like a shooting target, and thus is easy to identify. 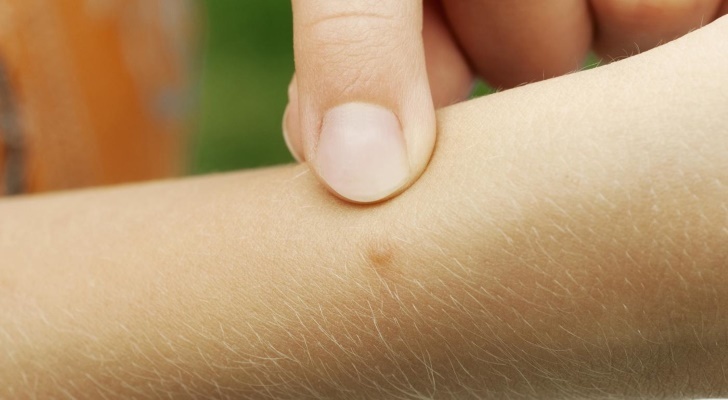 The disease takes a time to incubate and is transferred through ticks, and the rash develops between three days to a month after a patient has been bitten. The average period before the rash shows up (and after the bite) is about a week. There will be no pain or any unpleasant itch at the site of the rash, but the area will feel warm, and the rash itself is extremely prominent.